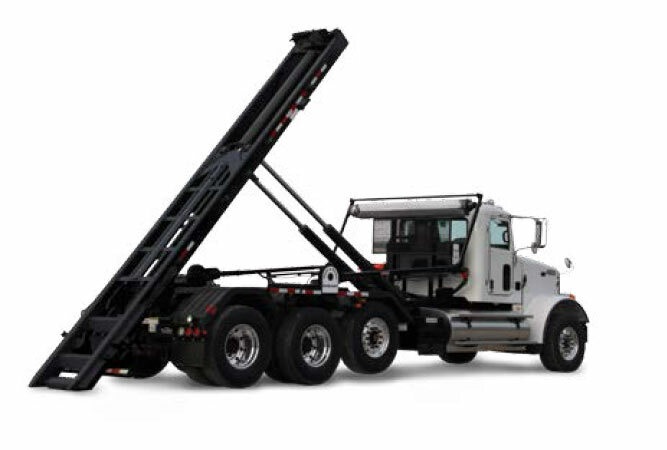 Along with our own line of Dump, Trash, and Steel Flat bodies, Ox Bodies also carries the full line of Galbreath Roll-Off, Hook Hoists and Container Handlers. Ox Bodies will install and service Galbreath products as well. Get the same high quality service and convenience that you enjoy from Ox Bodies, now for your Galbreath products too! 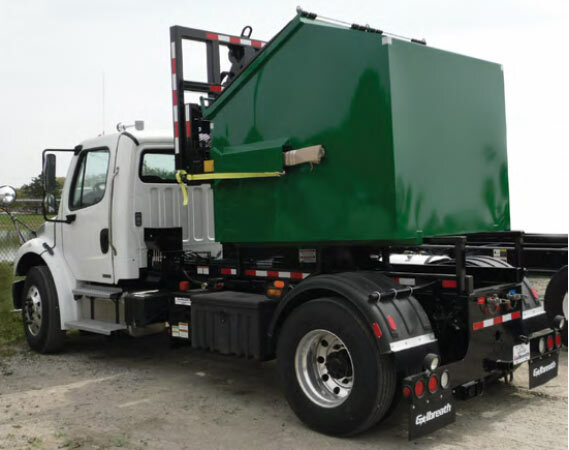 Since 1945, Galbreath has been building high quality products for the waste industry. 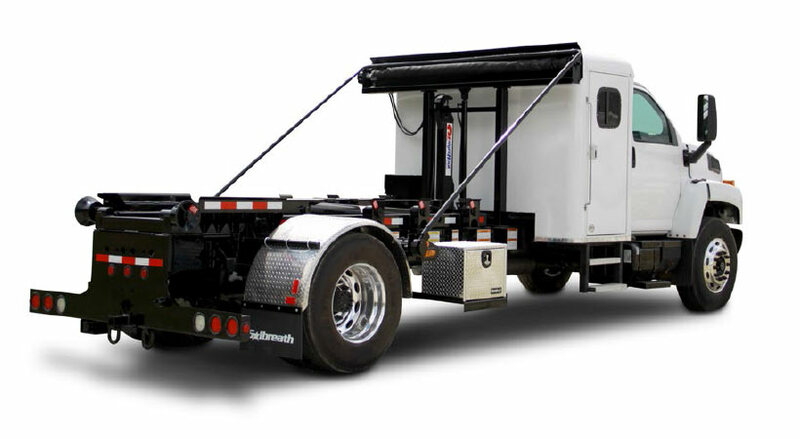 Today, the Galbreath brand remains one of the most respected names for specialty hoists and container handlers. Not sure what you need? Your Ox Bodies sales associate can help you specify the exact product you need for your specific application. Contact your Ox Bodies sales associate today about the sale, installation and service of Galbreath products. Galbreath single pivot hook hoists features a universal fit for nearly any chassis. The simple design of the single pivot hook hoist means fewer moving parts and less maintenance. Maximum hook height is 54". 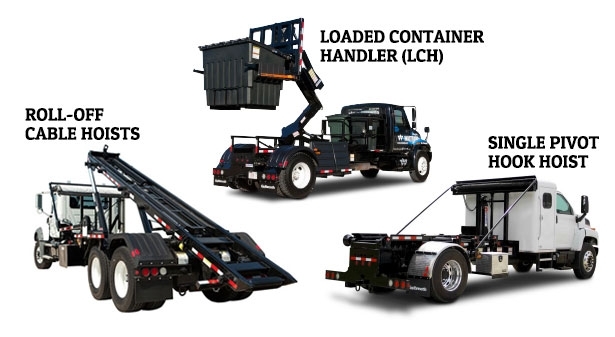 The Galbreath Loaded Container Handler (LCH) was designed as a safer way to transport front and rear load containers. Containers are designed to sit level during transport to minimize trash spillage. The container and the center of gravity sit in front of the rear axle to maximize weight distribution, allowing safe loaded container transport at highway speeds. The Galbreath LCH can accommodate up to 8,000 lbs. and front load containers up to 10 yards or rear load containers up to 6 yards in size. Legal overhang at the rear of the vehicle when hauling loaded containers prevents the need for an ICC bumper. 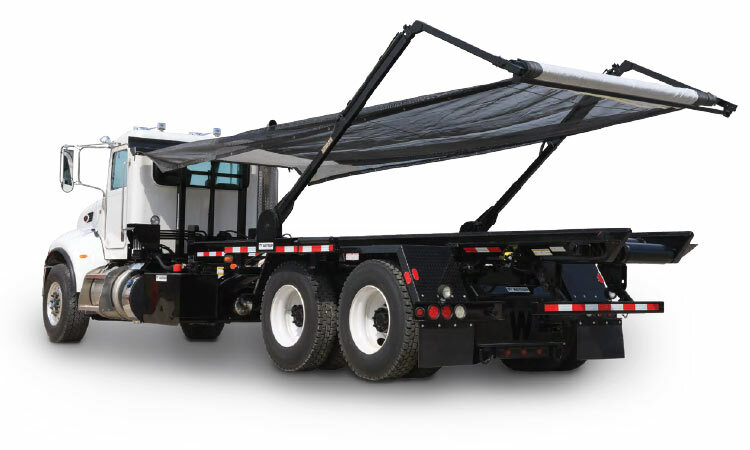 This Rack ‘n Pinion tarp system has been the system of choice in the roll-off industry for over ten years. 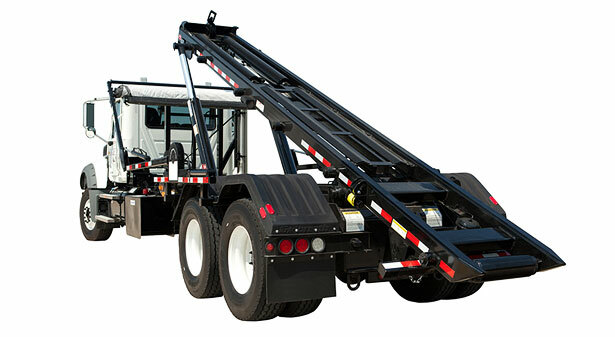 Our patented hydraulic arms and gear assembly combined with our Strong Arm technology and Everlast Tarp Roller produce the only fully hydraulic system known for reliability and low maintenance.